I was fortunate enough on a recent family trip to stay in a vacation home in Kissimmee, FL for a week. We had passes to Disney, and made good use of them. With kids, though, late nights were not going to be possible. Luckily for me, on the drive to the house itself, there was a rather large property off the road that was surrounded by a wall that was just barely containing some wild overgrowth. Obviously an abandoned property, it piqued my interest enough to have me take a quick gander at Google maps to see what lay beyond the wall. 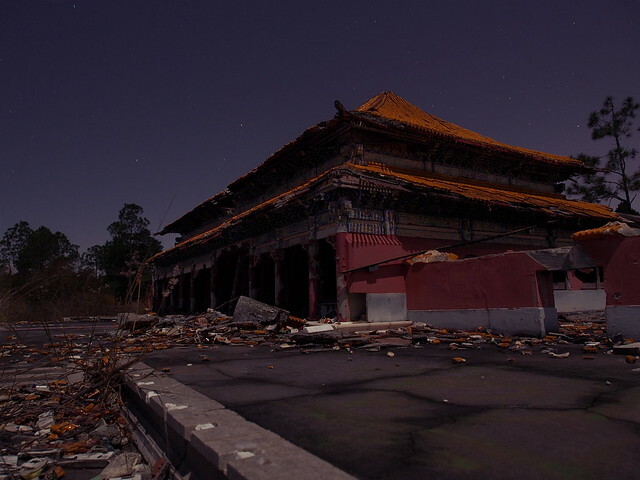 Imagine my surprise when I realized that just a few blocks from where I was staying was the rotting carcass of the Splendid China theme park! The Splendid China themepark map. This was too good of an opportunity to pass up (I am drawn to shooting abandoned places, but lack a good selection to choose from where I live). 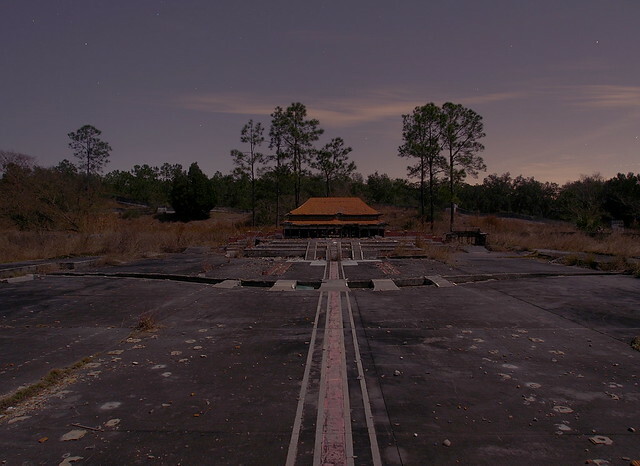 Some of my favorite photography is from abandoned places (thank you Opacity.us! ), so I had to give it a try. Splendid China - Potala Palace by Pat David on Flickr. 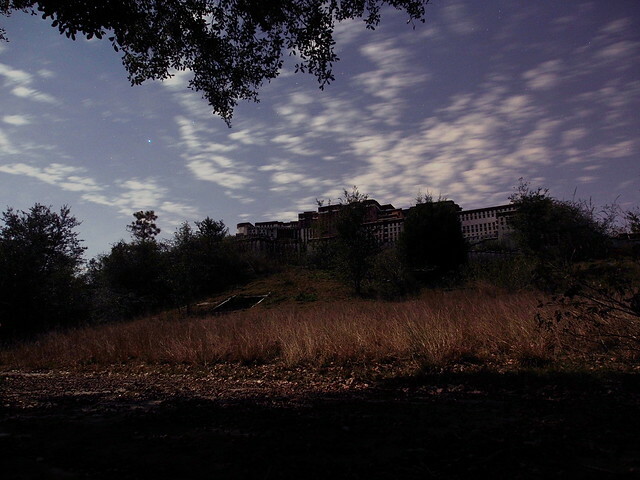 It was about 8:30 PM before I finally made it inside, and found myself on the back side of the Potala Palace (seen above). It was cold (around 40° F), and I was lucky enough to have a full moon to light my way. 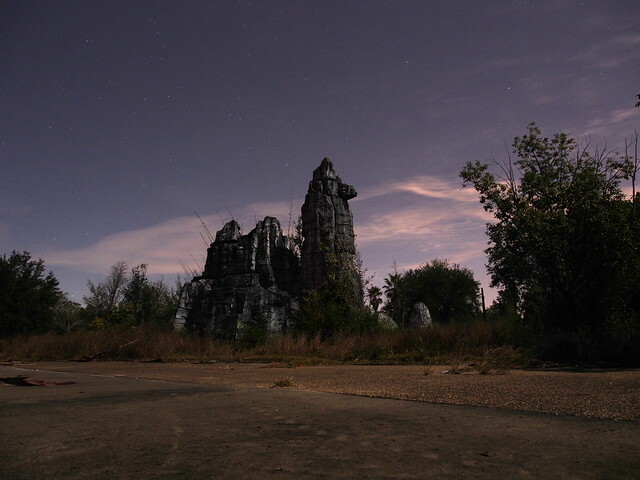 The area is not fully developed around the park, so it was extra quiet and still in the night. The paths were still relatively clear of undergrowth, but I still had to be careful when walking around (there were some small “lakes” and other water features scattered around, so keeping to the path seemed like a good idea). Monument by Pat David on Flickr. The monument above actually had a small moat surrounding it (just past the underbrush in the foreground). 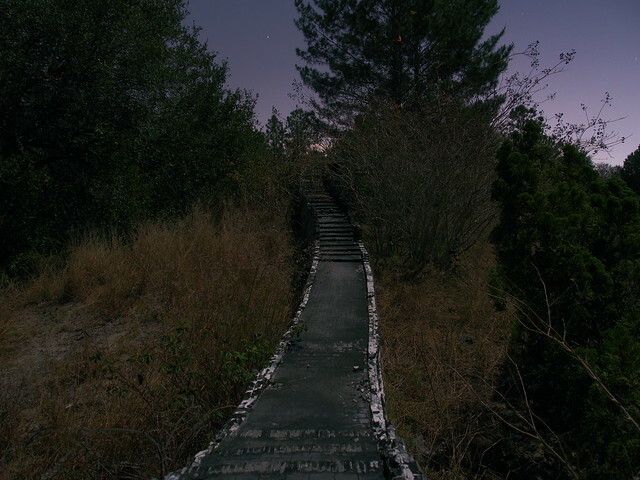 I had a chance to stroll through the paths in the bright moonlight, and I had a particular destination I wanted to make sure I didn’t miss. The Imperial Palace/Forbidden City! Meridian Gate - Forbidden City by Pat David on Flickr. 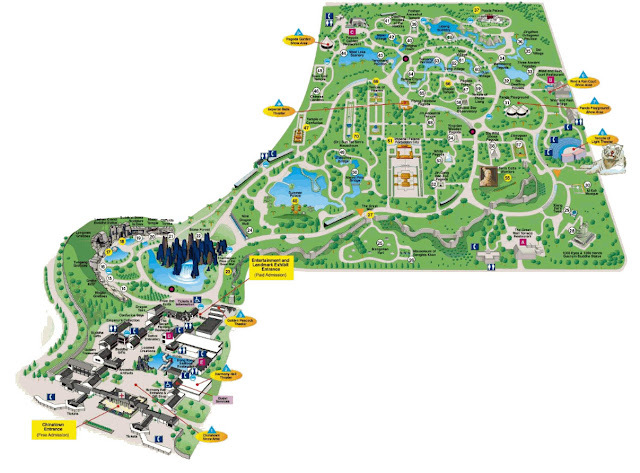 Everything in the park is 1 ⁄ 10th scale, and was handbuilt by artisans imported from China for the job. What’s amazing is that in some of these photos you can clearly see that the roof tiles, for instance, were all tiny, individual, actual tiles scaled down! The craftsmanship was truly remarkable here. Meridian Gate detail - Forbidden City by Pat David on Flickr. Despite the best efforts of vandals, the buildings were in remarkably good shape. There was some graffiti, and some vanadalism to the structures, but overall they seem to have held up well after almost a decade of neglect! 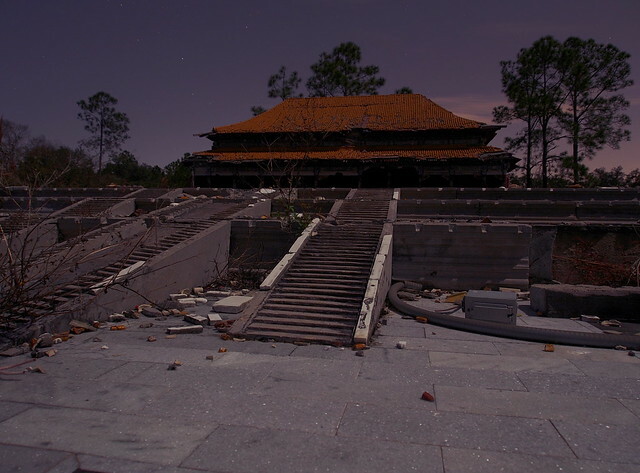 Hall of Supreme Harmony - Forbidden City by Pat David on Flickr. To put the scale in perspective, look at the image below. You’ll find a standard electrical outlet box on the ground to the right of the staircase. 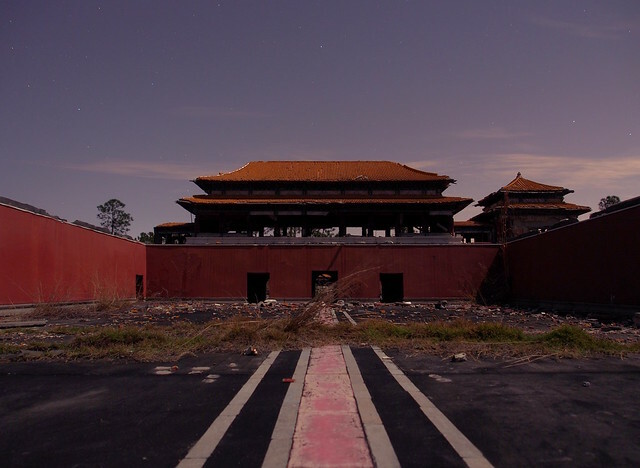 Forbidden City by Pat David on Flickr. 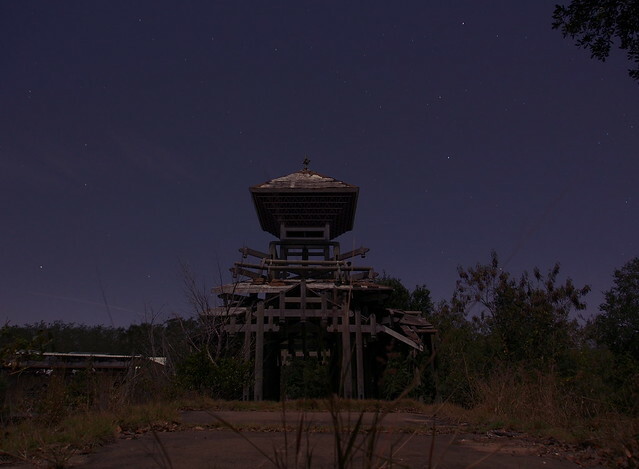 Overall it was a fantastic evening spent strolling through the grounds of this abandoned park. I stayed mostly to the edges and back parts of the property as I didn’t want to alert anyone to my presence. I also tried to stay as respectful as possible and to not damage anything. Just being there and able to shoot some photographs was more than enough for me. I’ll leave you with a few more images. Feel free to check out the rest of the set on Flickr! 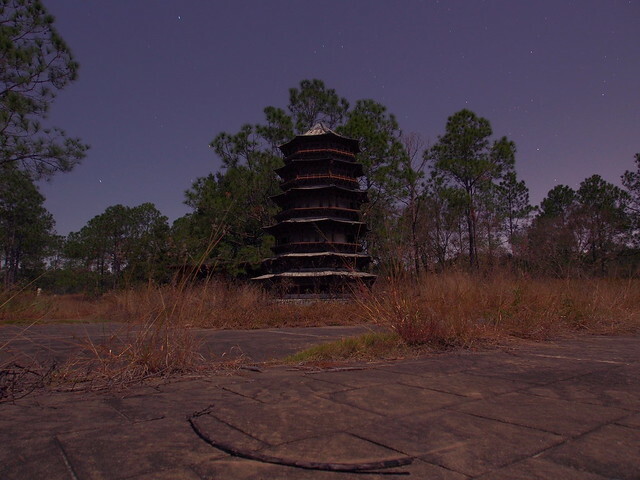 Splendid China - Wooden Pagoda by Pat David on Flickr. Splendid China - White Pagoda by Pat David on Flickr. 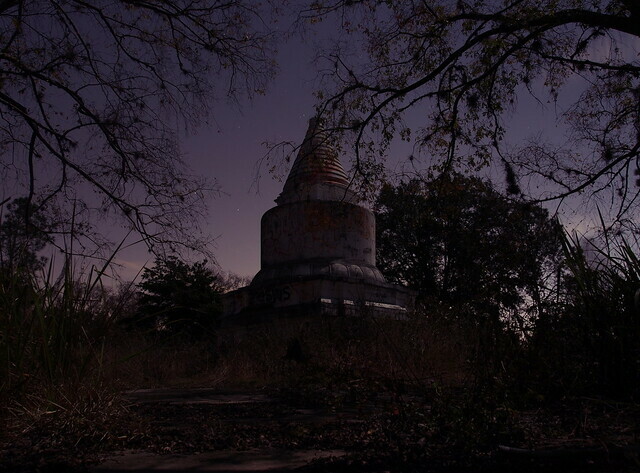 The white pagoda had a lot of graffiti on it, and the trees mostly obscured it from view. The Great Wall by Pat David on Flickr. The top portion of the Great Wall was actually built from millions (no exaggeration) of tiny, scaled down bricks! 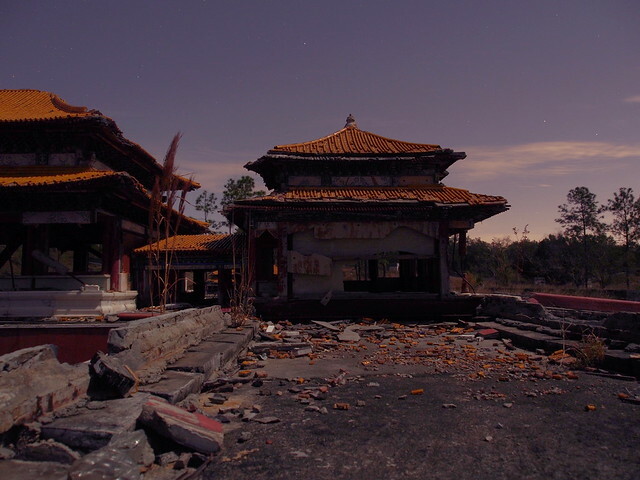 Splendid China - Pagoda by Pat David on Flickr.